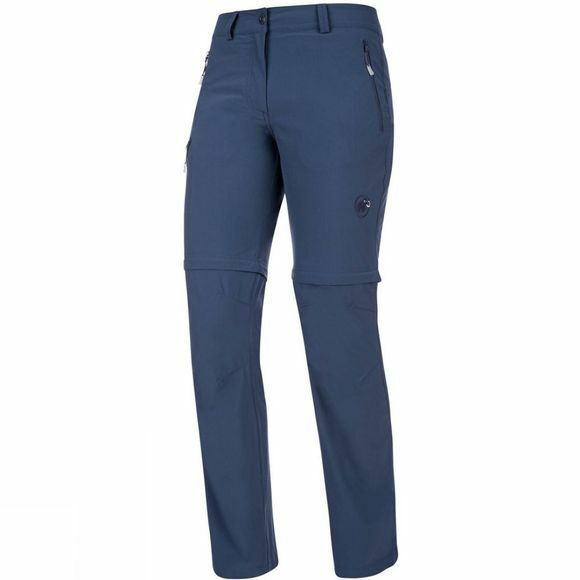 The Womens Runje Zip Off Pants from Mammut is a pair of pants that will keep you protected from the elements no matter where your adventure takes you! It has all the features you may require be it on your daily commute to work or when outdoors. For over 150 years Mammut have been making clothing, footwear and equipment for mountain adventures. Their range of climbing clothes, from wicking t-shirts to waterproof jackets have enabled climbers of all abilities to appreciate and explore the mountains in comfort. Mammut began as pioneers in the design and construction of world class climbing ropes. With their attention to detail and exceptional technical understanding, Mammut became famous for producing equipment that people all over the world could trust their lives with.